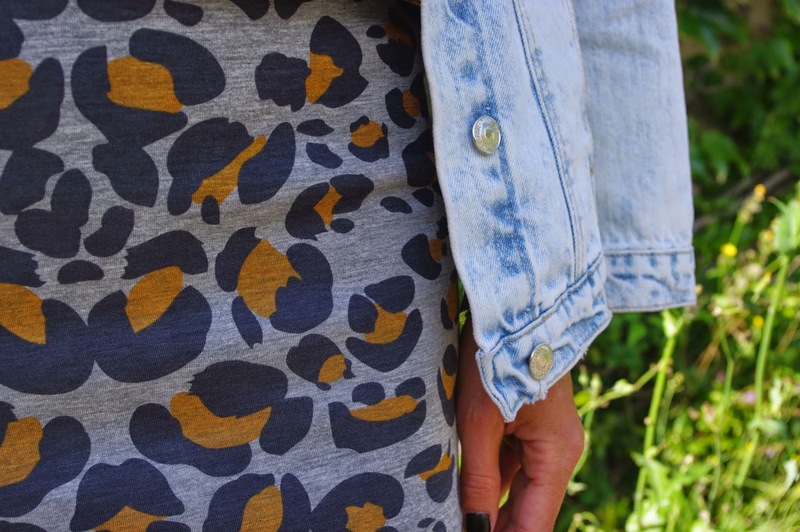 Love the print and your denim jacket is perfect. Animal print top and skirt?! Amazing. Love your style. Lovely animal print ! so cool , nice proposal. 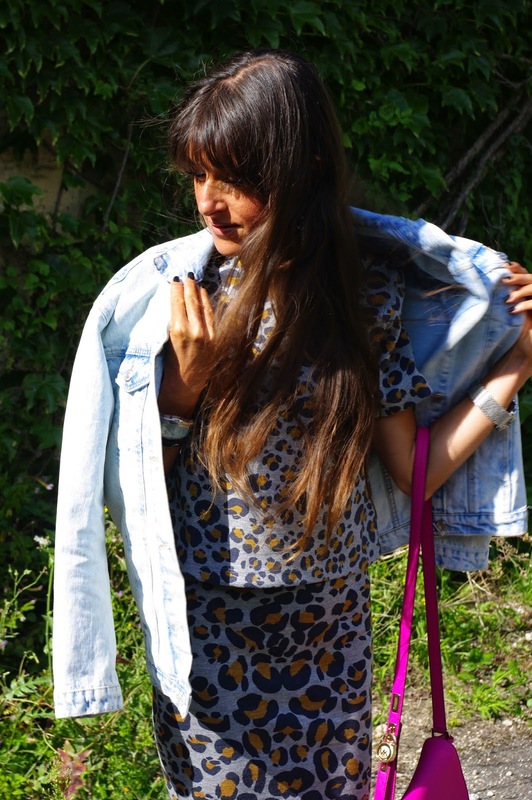 Love this leopard set paired with the denim. Very chic. This is such a look look! I love the leopard print! Great print and pink bag! Love your hair, it is so beautiful! Such a cute look on you, love the co-ord <3 The denim jacket sis such a perfect transitional piece, I have been wearing mine endlessly over the last month! Amazing blog! You have an amazing taste in fashion! Amazing skirt and top! Love that you styled then with sneakers! love the grey !!! I've never seen this print under gray backgroud! Thanks for your lovely comment in my blog! J'avais aperçu cet ensemble léopard sur la blogosphère et je le trouve super sympa! You look great. I love the matching shirt and skirt combo. Adoro la stampa leo, bellissimo questo completo! The two piece looks great on you, not everybody can rock a leo print. Sporty chic is great, and you've styled this outfit great! Love that print! Great look! You look awesome (as always). I love these 2 pieces! very nice Jeanne, i like animal prints too. Loving the matching coordinates, it's one of my favorite trend at the moment. Omg I love this two piece! I LOOVE this take on leopard! I love how it's separate and the prints are slightly different but they look so good together! Jeanne, you look gorgeous as always in this post! Your style never fails to inspire me and make me wish I had your closet :) I love this super cute twinset, I've wanted a twinset for so long! And the way you style it so nicely with the denim jacket and white sneakers gives the outfit such a clean and chic look! If you have the time, you can get a makeover and purchase some of replica gucci handbags the recommended goods. Proper foundation can also hide scars manufactured from incisions caused by your face lift. You can often uncover merchandise that are mainly designed to replica bags cover scars. Right after a journey to the makeup counter, most folks will not know that you had the procedure, but they will see the variation in your physical appearance.Most females are very selective when selecting the wallet. It should be trendy and sophisticated. It should be made from extremely very good material like leather. The style and color are extremely critical to fit their outfits.Check the names. Prada for illustration is a preferred. Make positive that the bag names are appropriately spelled and embroidered. Like Prada, it is at Chanel replica UK times spelled as "Frada" or "Parada" just to cite an illustration.Don't be fooled contemplating that only genuine bags have holograms and serial numbers. People that make their cash making knock off bags are on their toes and maintain up with any modifications made in genuine bags. Even much more importantly, when you see a bag for sale anywhere, do you actually know what the hologram ought to appear like? Do you know if the serial number ought to be on a separate metal plate or embossed within the bag? Should the title replica gucci handbags also noticed imprinted on the hardware on an genuine bag?